I’m fairly new at celery as this is only my third year growing it. I guess that’s because I’m not the biggest fan of it. It’s got its place but it’s just a vegetable I use that often. Tom likes it better than I do so we figured we’d give it a try. Of course our last two years were filled with tough, stringy stalks because I was a beginning celery grower and didn’t know what the tricks were. One of the tricks to growing tender celery is to give it a lot of water. Well, I live in California where it doesn’t rain throughout the summer. I’d feel terribly guilty if I had to dump a bunch of our precious water on the celery just to have tender stalks. One of the things I’ve noticed while growing celery is that it doesn’t come out with nice, thick, upright stalks that are all clustered together in the center. It’s more spreading and shrub like. But dumping water on it doesn’t seem to solve the problem of short stalks does it? No, really, I’m asking because I haven’t tried dumping a bunch of water on celery. There is another option though for producing tender celery. A farmer taught me about a trick they use for growing celery. Blanching the stalks with these rectangular cylinders that you slide over the plant. It keeps sunlight from reaching the stalks while forcing the plant to grow straight and bunched, which makes them thick and tender. You can buy these special cylinders or you can use half gallon milk cartons with the tops and bottoms cut off. We don’t drink commercial milk so that wasn’t really an option for us. Instead we used cardboard and the ubiquitous duct tape. The process was pretty easy. 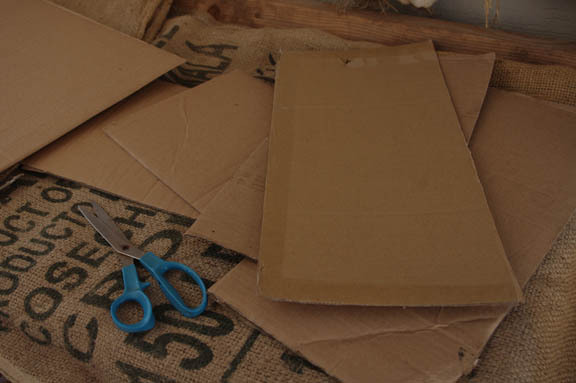 Just cut 18″x8″ rectangular pieces of cardboard and then fold them in half. 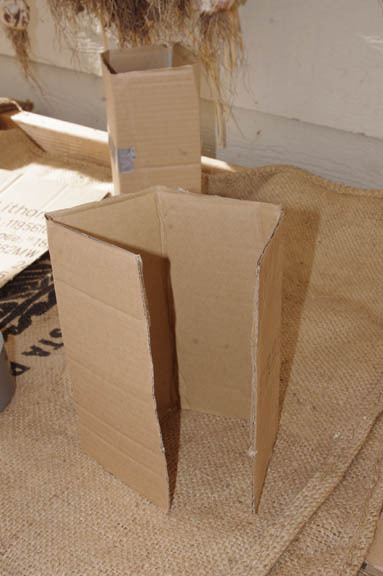 Fold each half in half again so that when it stands up you’ve got an 8″ tall cylinder. Duct tape the seam closed. That’s it. Super simple. The celery should be about as tall as the cylinder or a bit shorter. You just want the leaves popping out of the top. Grab the plant pulling all of the stalks together and slide the cardboard tube over them. Now just wait for the plant to be ready for harvest. 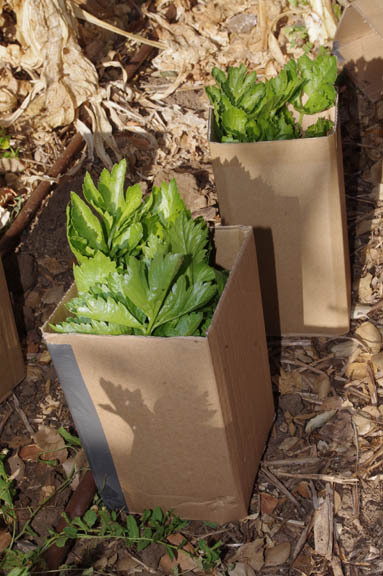 So for the celery, you wait to put on the cardboard until the plant have grown quite a bit?? Thanks for the tips! I’ve only grown celery once. 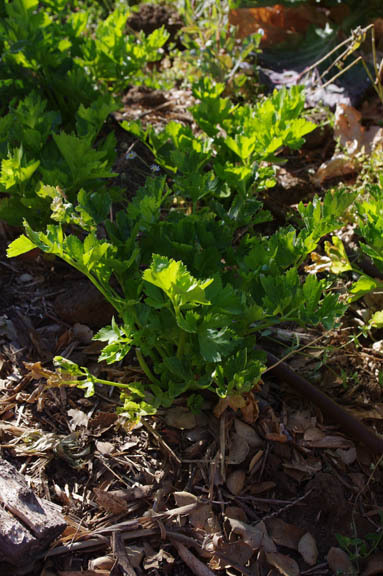 I’ve never grown celery – and have heard it’s a bit tricky. Thanks for sharing this tip. I’ll tuck it away for later use…someday when I have more water storage ability. I always enjoy and learn from your posts. Thanks so much for sharing your learning! I have never grown celery, but intend to do so now. It should be fun and rewarding;. 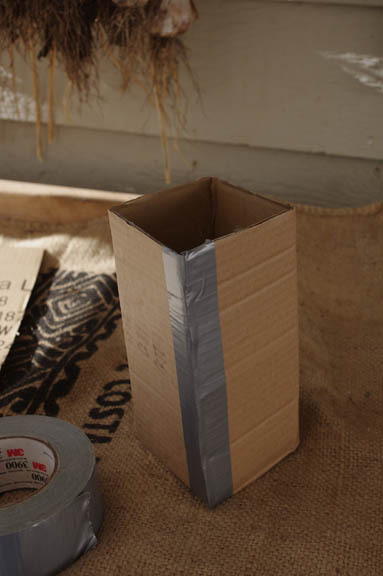 Do you leave the cardboard around it when you water it?